There's no denying the fact that I am always changing up my hair look. From short, to long, to mid length, you ask me and I've probably done it all! Yup, I'm that girl. I've never been afraid of drastic hair changes, and I'm no stranger to hair extensions either. 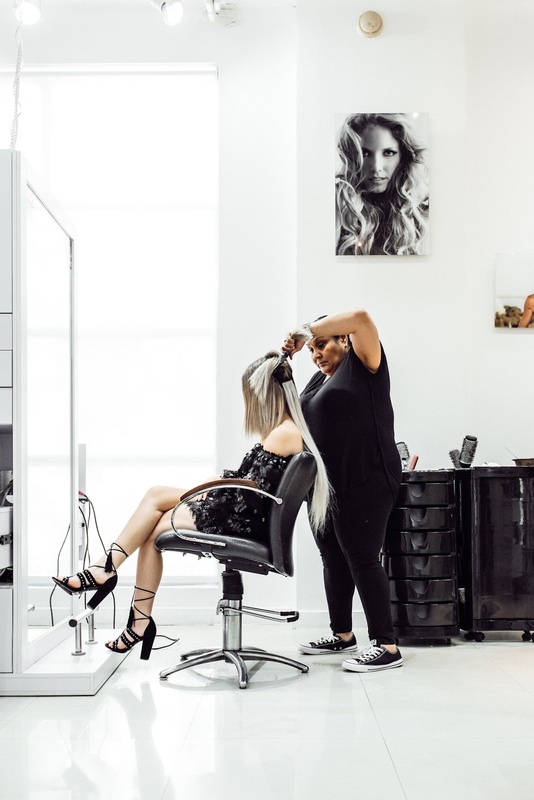 I teamed up with True Hair Miami (which is not only a full service salon, but a hair extension brand within itself) to share my current favorite hair trend for the spring and summer months. Don't get me wrong, I absolutely love my chic short hair cut, but it was time for a little revamp as I like to call it! We've seen the LONG and I mean LONG hair looks popping up everywhere recently. From the Kardashians, to their initial hair inspiration Cher. The Cher hair is back and in full force people! So with a little help from my friends at True Hair, we were able to get to the that wispy hip length hair. I've included the whole hair look below along with my outfit details! A couple days prior to my official appointment, I went into the salon for a consultation. 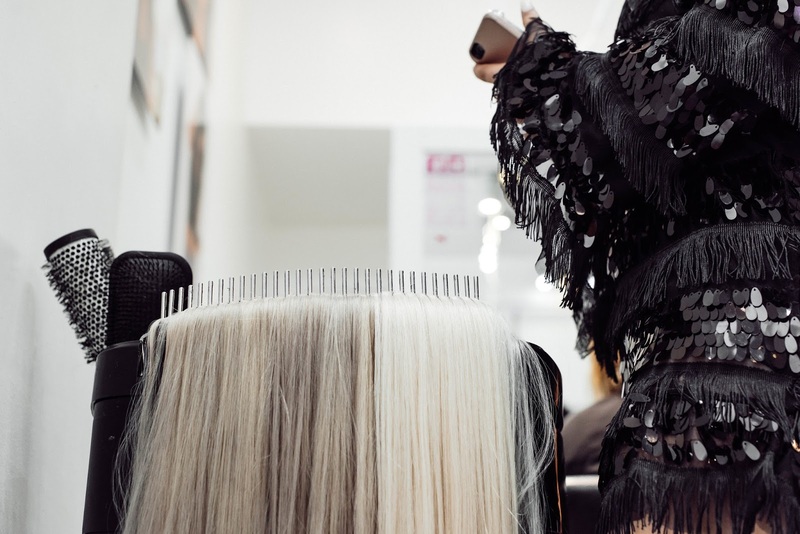 A consultation prior to the application of hair extensions is always very needed. 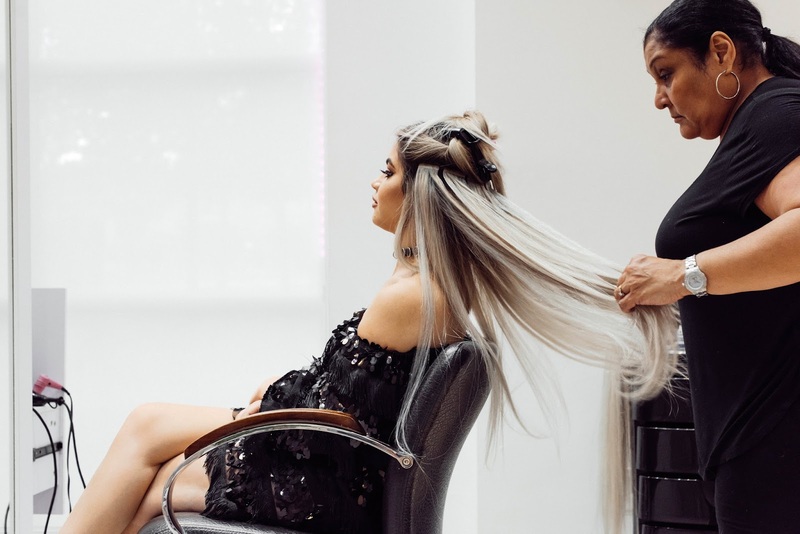 Not only will they be able to color match you to the extensions, but they will be able to determine which hair length fits you best. True Hair manufactures and designs their own extensions which happens to be a very unique quality. The hair is 100% Remy hair with an extensive palette of colors available. My process took about four house just because of how much hair I naturally do have. And also, partly because of the amount & length of hair I was getting applied. Elly (the owner of True Hair Miami) did the application her self, and we went for the 24 inch length tape in's (which happens to be the longest hair length I've ever had). 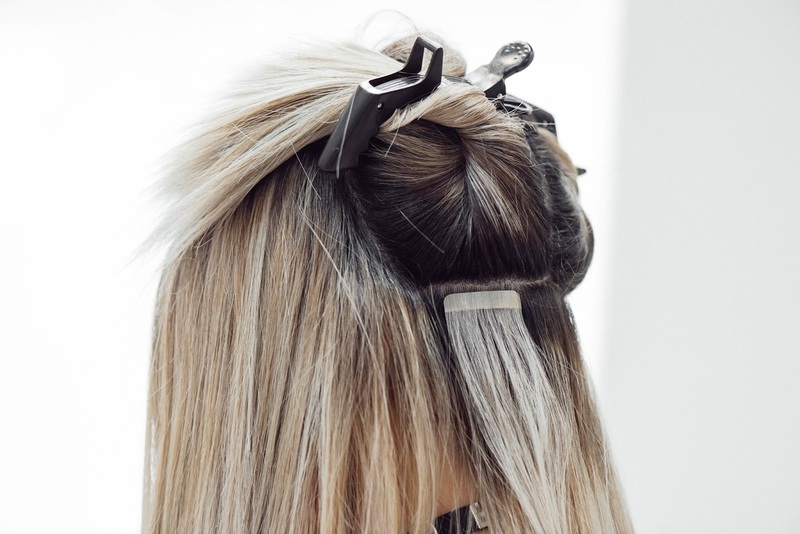 I love tape in's because they don't ruin your hair and they are easily removable. We were so happy with the end result! I decided to add a soft beach wave to the hair, but it looks just as good straight! Thank you to the team at True Hair for this incredible hair look.